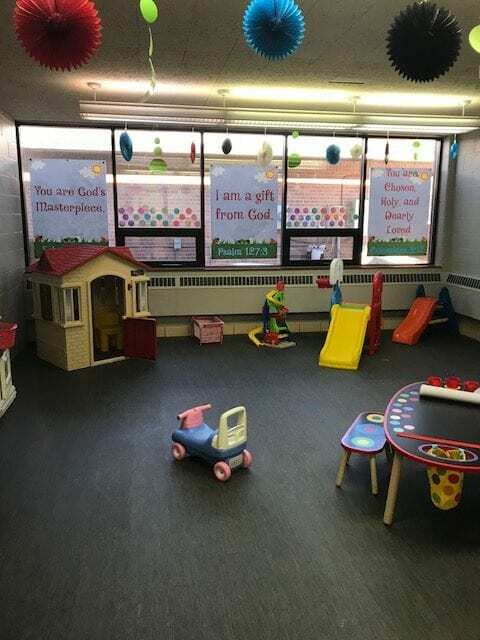 You’ll love our newly updated nursery and we can’t wait to share God’s love with our littlest members. Our “Baby Room” for ages 0-2 year olds and our “Littles Room” for ages 3-5 year olds is available every Sunday from 10:15 – 11:35. We will always have two “teachers” and two “helpers” in the nursery. Keep any eye out for the “What’s Happening in our Nursery” bulletin board. This will be located outside the nursery and will have information for Parents, Grandparents and Caregivers.